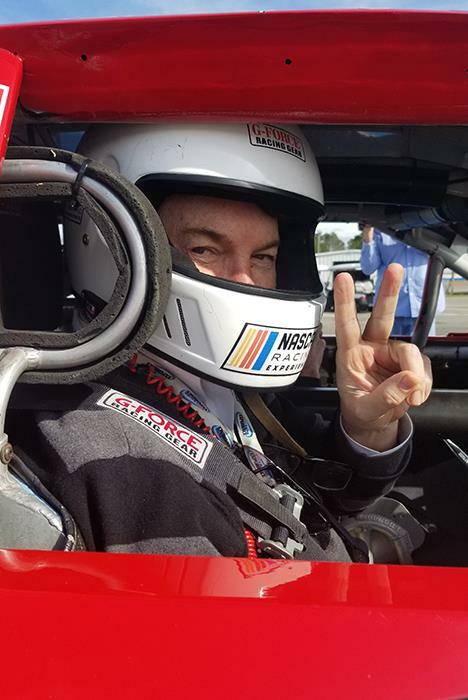 Situated off Highway 501 near the Tanger Outlets, this exciting attraction offers a ride or drive experience in a real, authentic NASCAR racecar that’s been driven by some of the leading drivers in the business, including Dale Earnhardt Jr., Jimmie Johnson and Jeff Gordon. 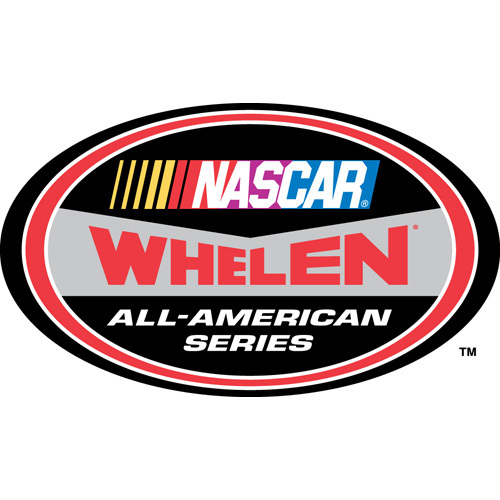 Guests can enjoy personal spotters, an in-car two-way radio, Racing Electronics earbuds, a souvenir racing license and more. All ride along passengers must be at least 10 years old and at least 5ft and over 100lbs. 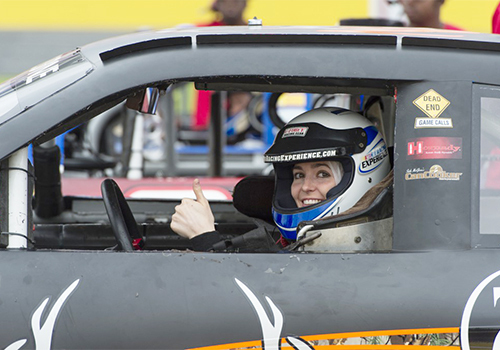 Experience the inside of race car without being behind the wheel. Located off Hwy. 501 next to the Tanger Outlet. 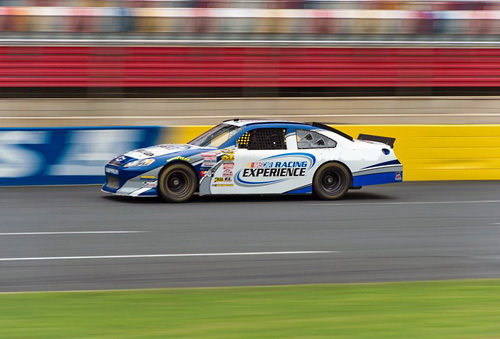 Come and experience a ride in a real Authentic NASCAR race car driven by some of the top racers in NASCAR. 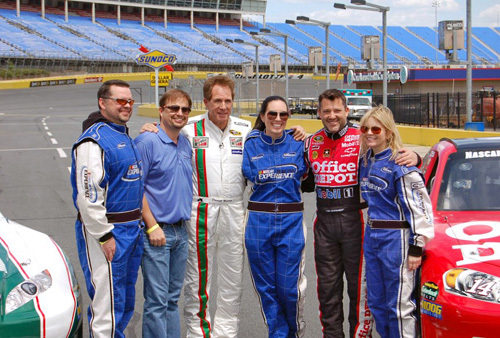 Dale Jr., Jimmie Johnson, Jeff Gordon, and other NASCAR`s greatest stars. LAST CHANCE for this RIDE! 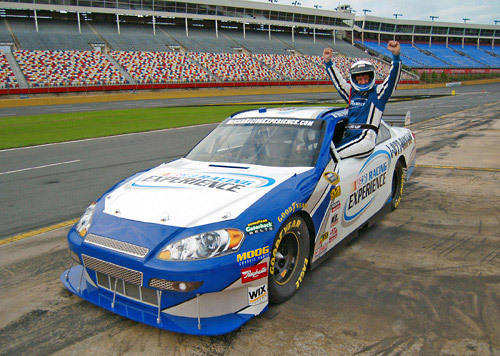 - Featuring the authentic “DALE EARNHARDT JR” #8 car. 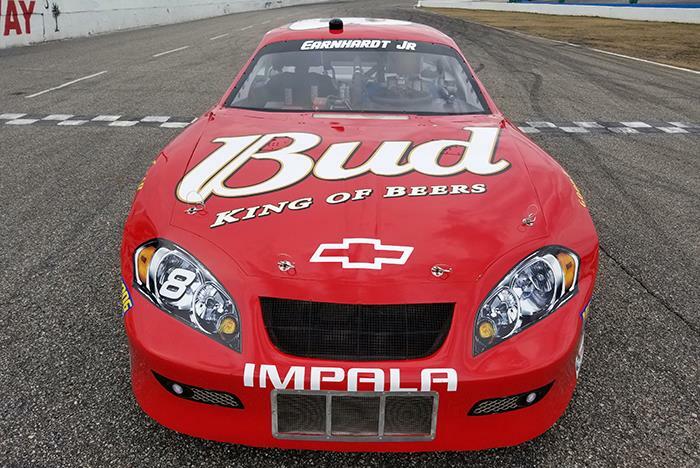 Tucked away in the Myrtle Beach Speedway garage, lies a race-car the # 8 Budweiser car, Dale Earnhardt Jr once drove in the Speedway Cup competition. 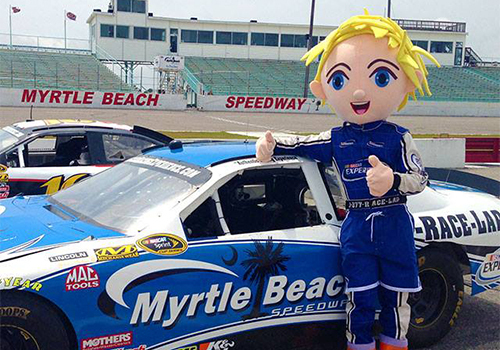 This special car has been giving Ride-A-Longs and Drives to countless race enthusiasts for the last few years! All good things must come to an end and with Dale Earnhardt Jr’s retirement in 2017, this historic car will also retire. 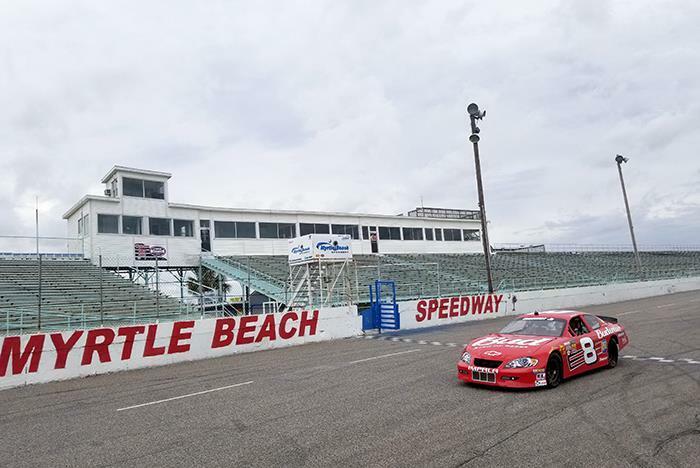 The 2019 season will mark the checked flag season for this prized car and it will be retired and preserved as a historic piece of Auto Racing History. Newly refurbished and ready to ride or drive! 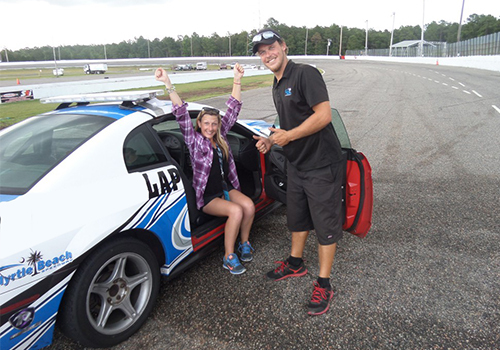 It's the last chance for this NASCAR Racing Experience! “Limited time only” from February to October 2019. What kind of race tracks will I be riding on? An oval, paved race tracks. The same race tracks you see NASCAR race on. No, you will want to arrive 30 minutes to 1 hour prior to your reserved time. Do I need a valid driver’s license? 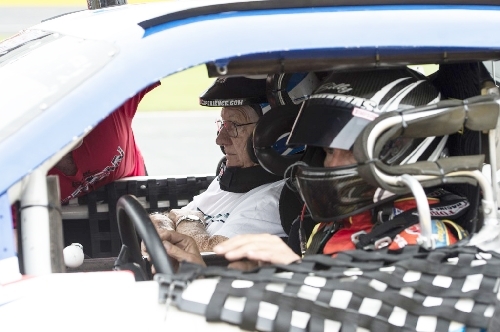 No, you do not need a driver's license for the Ride Along or Pace Car Experience. Absolutely! We encourage you to bring friends and family. A track-side viewing area is available at all tracks. 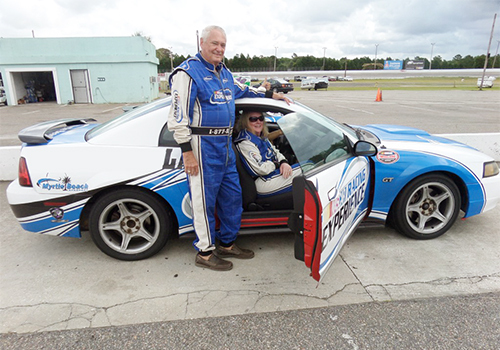 Comfortable, casual clothes depending on the time of year as your clothing will be worn under a driving suit. Wear closed toe shoes, tennis shoes are recommended. Do I need to bring racing gear? No. 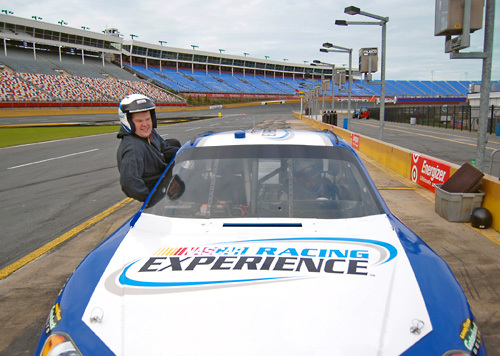 NASCAR Riding Experience provides you with everything you need except shoes and gloves. *Race shoes and Gloves are NOT required.